OGP UK introduces the SNAP DM350, the latest non-contact, high-definition video-based 2D co-ordinate measuring machine, able to measure any part within its 100 mm circular field of view with built-in digital zoom. 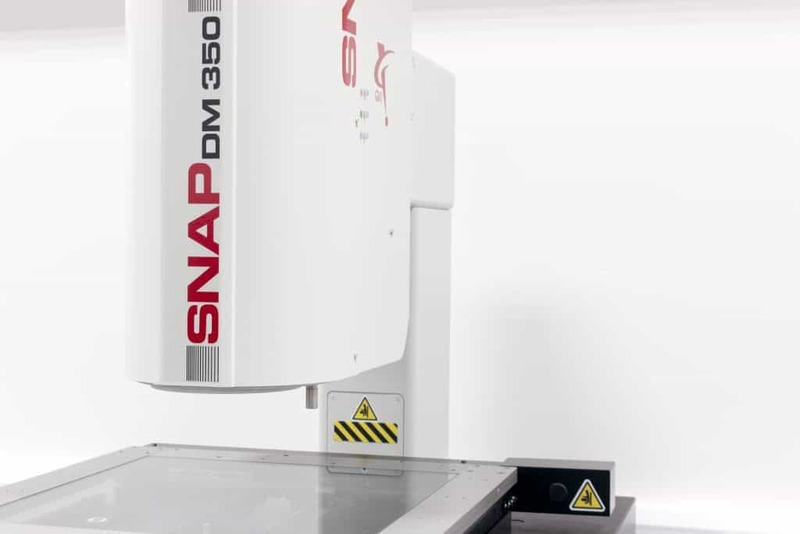 Containing a maximum measuring range of 450 x 450 x 150 mm (X, Y, Z) the SNAP DM350 is capable of measuring large volume parts such as circuit boards, sheet metal panels and artwork. The large measuring range allows the operator to carry out measurements of a variety of large volume parts with the additional benefit of large-field-of-view technology. The 350’s Z-axis offers ample room with a travel capability of up to 450 mm alongside a bigger stage for measurement of large parts and fixtures. Additionally, there is the option for a high density megapixel metrology camera to be integrated for added resolution to measure ultra-fine, complex features. Features include the precision motorised compound stage, fully telecentric, dual magnification optics for precise measurements, a multi-function hand controller with 3-axis joystick and lighting controls alongside the all-LED sub stage profile light, coaxial surface light and a programmable 8-sector ring light. It also includes two optical magnifications that provide the highest resolution for measurement of the smallest features, AutoID which recognises and measures all parts and features within the SNAP’s measurement stage- including multiple individual parts, Zoom Anywhere technology allows the user to hone in on fine details, autofocus with SNAP-X integrated software and optional touch probe capability. SNAP delivers rapid, accurate results with simplicity making it a cost-effective machine. Its compact, robust design allows the SNAP to measure virtually anywhere. The machine is simple to use with minimal training due to its auto-recognition, which means operators can simply place selected parts on the SNAP and at the touch of a button it automatically identifies the part’s orientation, eliminating the need for manual set-up.